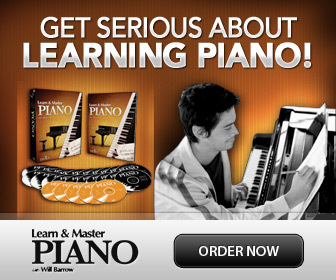 Learn How to Play Piano Chords. With these basic piano chords’ lessons, you will learn from scratch how a chord is built, modified, inverted, and analyzed. There is also an introduction to the study of Harmony, where you may experience some confidence boosting results of what a humble little chord, or even better; a progression of chords can do! For pianists, learning about chords is especially important, since most piano compositions are created mainly with music chords and melodic patterns. You can also learn to play chord piano, where you accompany a melody with different chord progressions. These are often written with chord symbols instead of notes. What is a Chord? Let us start by clearing up what a chord is and what a good definition of music chords is. The word Chord itself is derived from the ancient Greek word “khorde”, which meant "gut, string of a musical instrument". A chord consists of three or more notes played together. But the notes of a chord can be played in many ways and sometimes not together at all! Chords can be played blocked (all notes simultaneously) and broken or “arpeggiated” (one after the other, like plucking a chord on a guitar). Music chords are one of the major building blocks of music. Chords belong to a group of musical elements called Harmony. So, what is Harmony? Harmony happens (!) when notes in general are played simultaneously. A chord is created when three or more notes are played simultaneously. Intervals (two notes played together). Basically, any two notes sounded together is creating what is called harmony. The harmony can be either consonant (harmonious) or dissonant (not harmonious). When studying music theory and harmony, you will learn that chords can sound peaceful or weird, ugly or nice, spicy or sweet. Chords can sound as if they need desperately to go somewhere, and the next chord can either sound like “home” or keeps the tension going. You can use chords in a progression to lead the music forward or coming to a stop. When learning about chords you will see that they are very powerful ingredients in music indeed! How do you play chord piano? Here are lessons in how to get started playing chord piano. It’s easier than you might think! Print the basic chords for an easy overview of the most common chords in root position. Here are some fun ways to combine chords in different progressions. Now the fun starts! Let’s twist and turn those chords into new shapes! Once you’ve learned how a chord is built in root position, you can learn how any chord can be rearranged. This is called Chord Inversions. Inversions simply use the same notes as the basic chord in root position, but in a different order. You can write the chords in different ways, as notes, as chord symbols or as Roman numerals. >>>Learn about roman numerals chords here. This is fun! Find or write a melody. Add some suitable chords. Now write the concoction for four or more instruments…. You will begin to feel the power of being able to compose your own music!